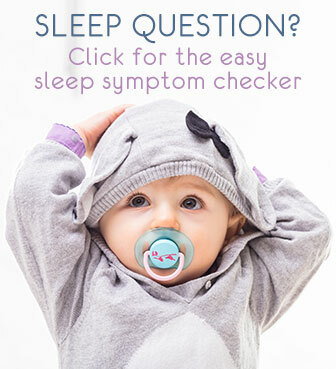 Question: How can I get my 3.5 month old daughter to sleep without rocking her to sleep? I have always rocked her to sleep then laid her down but lately she has been waking up when I lay her down same with naps she has been waking up. She usually goes to bed at 11:00pm and she wakes up around 3ish for a bottle and goes back to bed but it has been taking me an hour to just get her back to sleep because I lay her down and she wakes up I try patting her back and rocking the bed a little bit (she sleeps in a pack n play next to my bed) then wakes up for another feeding between 6 and 7 then goes back to sleep till about 9 or 9:30am. I used to let her sleep with me after she woke up for a feeding but I am no longer letting her sleep with me because I don't want her in the habit of sleeping with me. She also only will sleep on her belly everytime I put her on her back she is up in less then 5 mins. I would like to try something different but not sure what to do any help would be great thank you. It seems like you’re off to a good start, your little girl is taking quite good stretches at night for her age, well done! She’s still very young, so definitely nothing is 'lost' for her to learn to self soothe at night or nap time. She is also still young enough for the habit of co-sleeping with you not to set yet: most babies still easily transition to their own crib until 8-12 months. 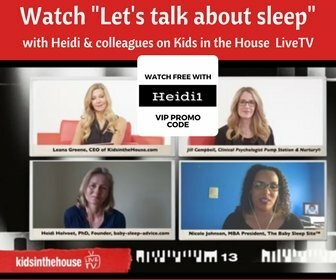 So actually - in case you want to - just to help you get more sleep for yourself right now, you might consider having her sleep with you after night feedings – of course ensuring an absolutely safe co-sleeping environment (and definitely avoid it when you are overtired, smoke, drink, or have taken medication, even the smallest amounts). You will have the chance to transition in the next couple of months, say around 6-8 months, when it will have become easier for her to self soothe too. In the mean time you can start working on the self soothing at nap times and evening bedtime. Or, you may go for the option not to co sleep at all anymore, and just work on the self soothing. 1. Check to make sure you have all the basics in place. A regular sleep schedule and a simple recognisable bedtime routine are simple but crucial to help her settle. Make sure she gently winds down towards bedtime, and be rather strict about the schedule and the routine. Make sure she does not become overtired. Schedule her naps and evening bedtime so that she gets to bed when sleepy but not overtired. It’s not always easy to spot, but do look for early sleepy signs like staring, losing interest in activities, yawning, rubbing eyes. Once she’s cranky and/or overly active, it’s too late and it will be difficult for her to settle. You may download my free e-book Baby Sleep Essentials for an overview of the basics. 2. If the above basics were not fully, or not strictly, in place so far, take a week or two, three to get your daughter into the routine. In the mean time, continue rocking and holding her to sleep before putting her down. If she wakes when you put her down, as you note in your question, try to keep your hand on her belly for a few moments before you completely release her. Also put her in a sleeping bag while rocking, so there is no fussing with tucking her in when putting down. Otherwise, you may need to wait a bit longer before you can put her down asleep (i.e. wait until she is in a deeper sleep: when her breathing slows down and becomes more regular, and her body is fully relaxed). 3. Once the schedule and routine are well set, you can then gradually promote self soothing by putting her down earlier and earlier again, i.e. when not in deep sleep, but drowsy. Follow the ideas on my self soothing page. Keep in mind though that 3,5 months is still young. Although some are able to self soothe that young, most babies do not learn to self soothe until 6-12 months. So if it does not work straight away, wait a few weeks, and then try again. Let me know how this sounds, I will be happy to follow up. Hi, I've been reading a lot on the net how to wean baby from rocking to sleep. Eversince birth, I rocked her to sleep as this is the only way I know to help her to fall to sleep. Now, I would like her not to depend on rocking. At night, she often falls asleep with just a binky, but there are still nights wherein we need to rock her when she wakes up. During naptime, we always rock her. Is this age too young to train self soothe? Or its ok given that she can manage to sleep on her own at night with a binky? Your website is very helpful, thanks for all the information. The situation you have right now is really good at 2-3 months old. It is still very natural and fine to help her settle. If she already can work it out at night with the binky, that is really a good thing. It is too early for 'training'. 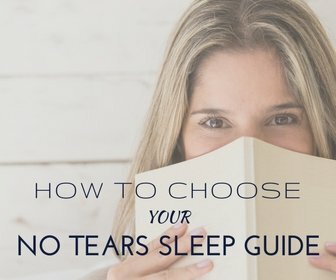 What will help towards self soothing is the early practice (as you do) and install the all-important basics (see https://www.baby-sleep-advice.com/baby-sleep-through-night.html). This will help you later on, when true consistent self settling is possible.